The Abbey is James Martin's first work of fiction, and it's my first time reading his books. One reviewer suggested an actual story was missing. I chuckled. I enjoyed the book even without much story. The villain of the book is scarcely actualized. He/she/it comes from within each character. For the single mom, it's her own grief that turned to bitterness, for the young architect it's his appetites, and for the Abbot it's occasional regrets and nostalgia for the outside world. 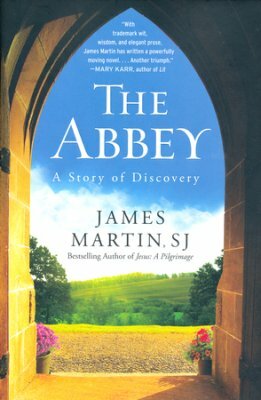 While The Abbey might be more accurately described as a novella I enjoyed it mostly for the love Martin clearly demonstrated for his fictional flock. He doesn't force them into a sudden acceptance of Christ. Instead he nudges, suggests prays and they do what people do, they muddle around, get lost, rage, stumble, pray and wonder.